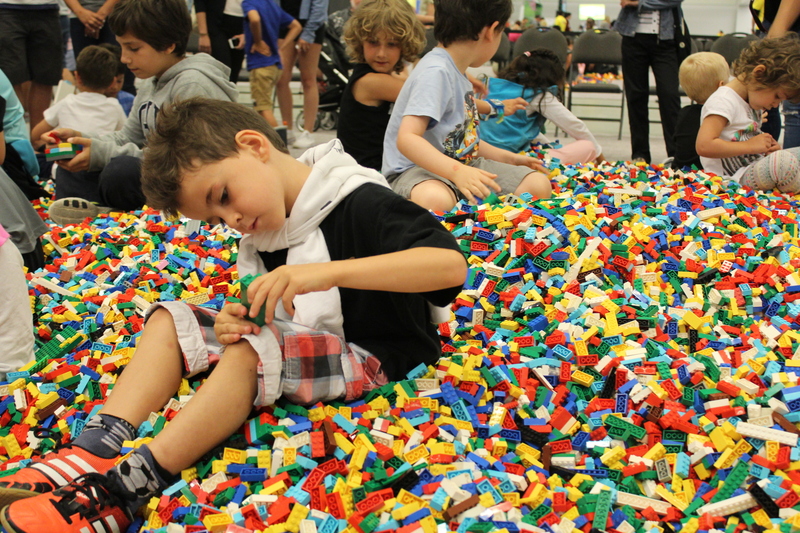 LEGO Imagine Nation Tour arrives in Toronto | Kids in T.O. So guess where we’re going to be this weekend. 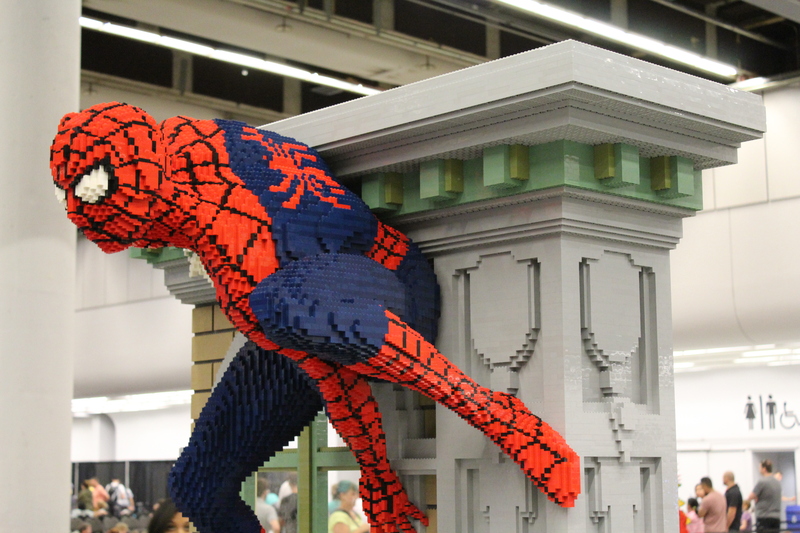 The LEGO Imagine Nation Tour is making its first stop in Toronto for three days October 14-16, 2016 at the Metro Toronto Convention Centre. It’s basically our basement x one trillion and my two little LEGO fans will likely never want to come home. Imagine: 15 pavilions, a Brick Pit, 20 life-sized LEGO models, a LEGO bridge building competition, a chance to build with one of only eight LEGO Master Model Builders in the world, LEGO video games and a cool digital activity where you build your fave NINJAGO™, Elves or Friends-themed model and scan it into 60-second game experience. It is an all-ages event so lots for the littlest and oldest LEGO fans. Getting there: The Metro Toronto Convention Centre is located at 255 Front Street West. On TTC, easily accessible from Union Station Subway Station. Driving, here are the parking lots in the area. Stroller-friendly. Low-Down: You can buy tickets in advance or at the door (credit card only/no cash.) Kids and adults 3 years-old and up are $28.50 per ticket. Kids 2 and under are free. 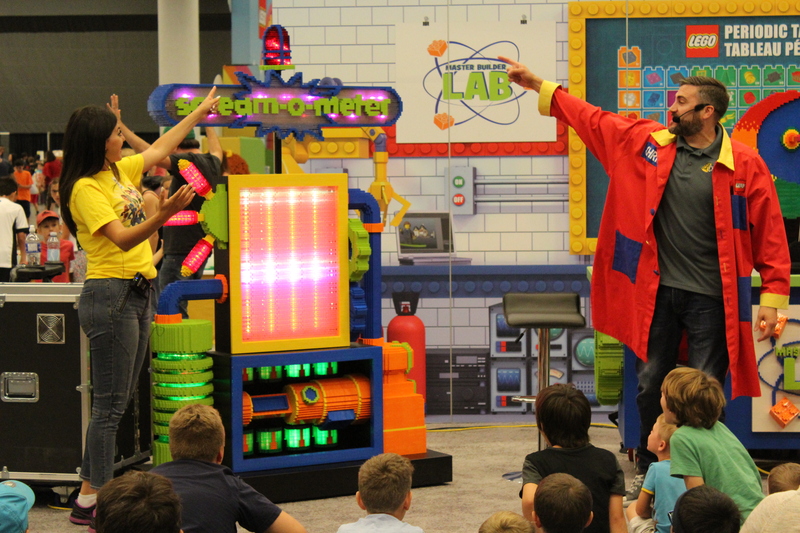 You buy tickets for one of five sessions: Friday October 14 from 4pm – 8pm; Saturday October 15 from 9am – 1pm & 3pm – 7pm; Sunday October 16 from 9am – 1pm & 3pm – 7pm. You can arrive any time during your session but you must leave at the end as they close to clean and reset for next session. There are no all-day passes. Children under 18 must be accompanied by an adult. PS – The Vancouver stop sold out. Snacking: There is a concession stand with food and drink for purchase. No outside food or drinks permitted. Shop: There are no take-home creations. There is a Toys ‘R Us mobile shop with products to purchase. If you miss it: Head to LEGOLAND Discovery Centre is Vaughan. In the hood: CN Tower, Ripley’s Aquarium of Canada, Hockey Hall of Fame, and ferry to Centre Island.